From the tallest to the smallest and the funniest to the most ferocious, Blackpool Zoo are giving visitors the chance to get up close and personal with its residents this Easter. 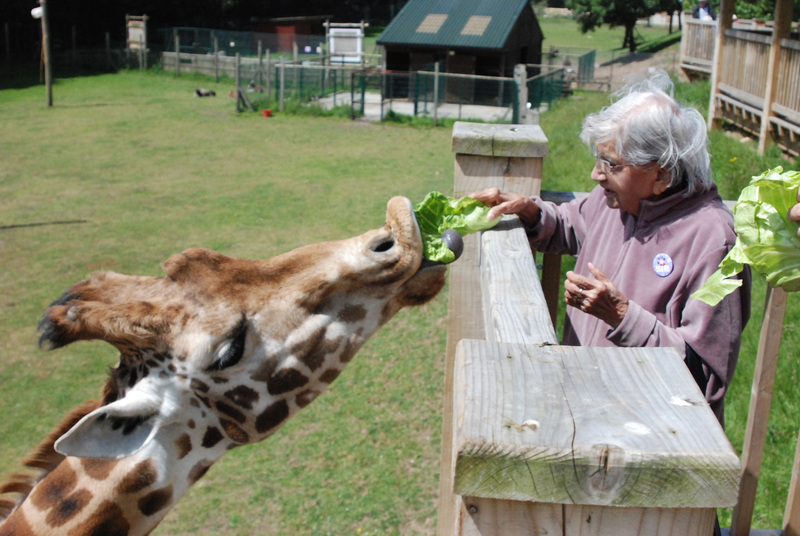 You could find yourself hand feeding majestic giraffes from a specially adapted tower, flying beautiful barn owls or even meeting comical sea lions. Each unforgettable experience is available until Monday 17th April, and with tickets costing just £10 per person, why not try them all! For the little ones, the zoo’s children’s farm will host a range of dedicated Easter activities. Animal handling, farm feeds, egg painting, badge making and the opportunity to get hands on with the creepiest of crawlies in the zoo’s neighbouring indoor Play Barn are all available. Entrance here is free with no booking required. For those feeling a little more adventurous, how about fence feeding a stunning tiger after a behind the scenes enclosure tour? Or perhaps you’d prefer to tickle a tapir, feed the lemurs or meet an Aardvark while being keeper for the day. Each of these experiences is available all year round, with various ticket prices, but must be booked in advance.